So this month also saw us sponsoring the annual Woozelbears dog show which raised money for various women’s cancer charities. Charlotte Pimm, Director of Woozelbears (who James met at the West Oxfordshire Business Awards) said, “Thank you for your support to Woozelbears! It was really kind of you to sponsor our dog show for women’s cancer, £1000 was an extremely generous amount. 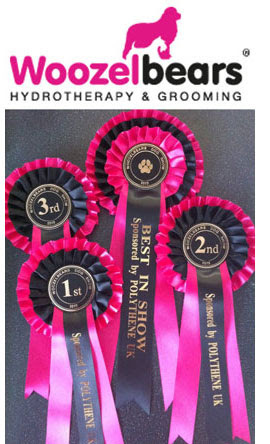 Woozelbears is a canine hydrotherapy and dog grooming centre. Hydrotherapy is a treatment that uses the properties of water to rehabilitate and improve an animal’s function in a heated, sanitized pool. Click here to find out more about the charity. Some You Lose – With Us You Win!